Last weekend, I paid a first-ever visit to the Worthington Valley Historic District, which lies about twenty-five miles northwest of Baltimore, in the heart of rural Maryland. This is an exceptionally pretty part of the state, where the land is given over to horse-breeding and racing. 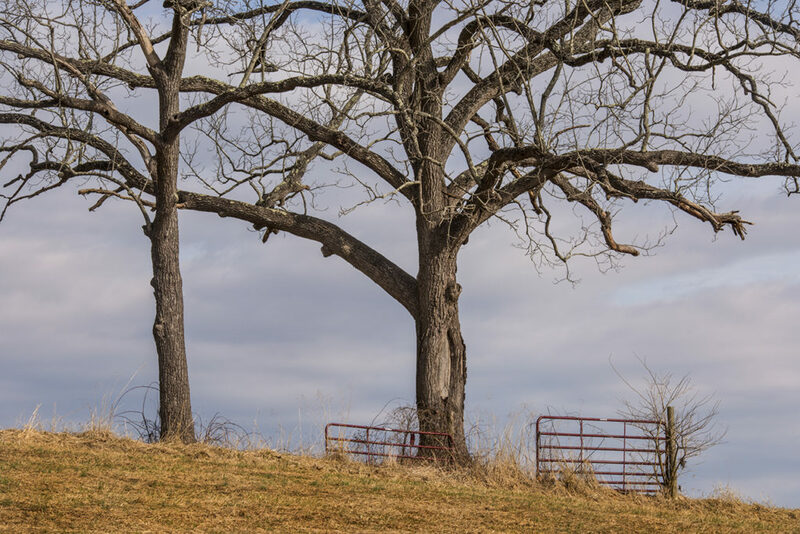 The gently rolling hills, long white fences, stout farmhouses and lone-standing trees make Worthington Valley an attractive destination for photographers and I was fortunate to have as my guide Irv Freedman, a local photographer who knows the valley intimately. The look of the buildings, the dry-stone walls and gentle contours of the hills were all, to me, reminiscent of the landscape in my home in Northern Ireland. And also of Scotland, our close neighbour just twelve miles across the Irish Sea. Even the name of the place reminded me of home. To me, the name “Worthington” is familiar as what Americans call a Scots Irish – what I would term an Ulster Protestant – name. There was a branch of the Worthington family who emigrated to Connecticut as early as 1630 and a William Worthington arrived in Maryland in 1664. 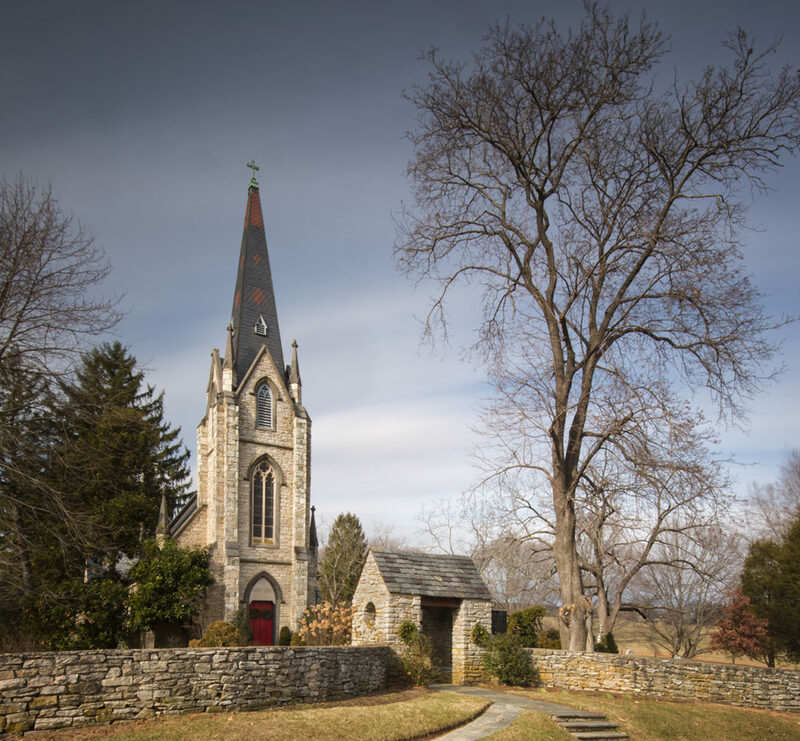 The jewel of the valley is St. John’s Episcopal Church, a classic example of the Gothic Revival architectural movement, which started in England in the 1740s and was heavily influential in sacred architecture. Either the settlers were building from their memories of churches where they had worshipped in the old country or they arrived with their designs already in hand. The Church of Ireland and Church of Scotland, the Anglican relatives of the Episcopal Church in America, built hundreds of churches in this style throughout those two countries in the 18th and 19th centuries. Little wonder, then, that Worthington Valley looked so familiar to me. While the current structure of St. John’s dates from 1869, there was a church on the same site as early as 1816 but the original church burned down on Christmas Day 1867. In the quiet cemetery next to the church, there lie multiple generations of the Worthington family, the oldest stone belonging to Samuel Worthington, who was born in 1734. He might have been William’s son or, given that he was born seventy years after William’s arrival in Maryland, perhaps his grandson. Iron railings enclose the graves of the different branches of the family, children following their parents into the family plot, one generation after another. I counted four Celtic crosses in the cemetery, their distinctive shape – a circular ring enclosing the intersection of the cross – making the evocations of Ireland even stronger. It’s been a while since I’ve taken a photograph. 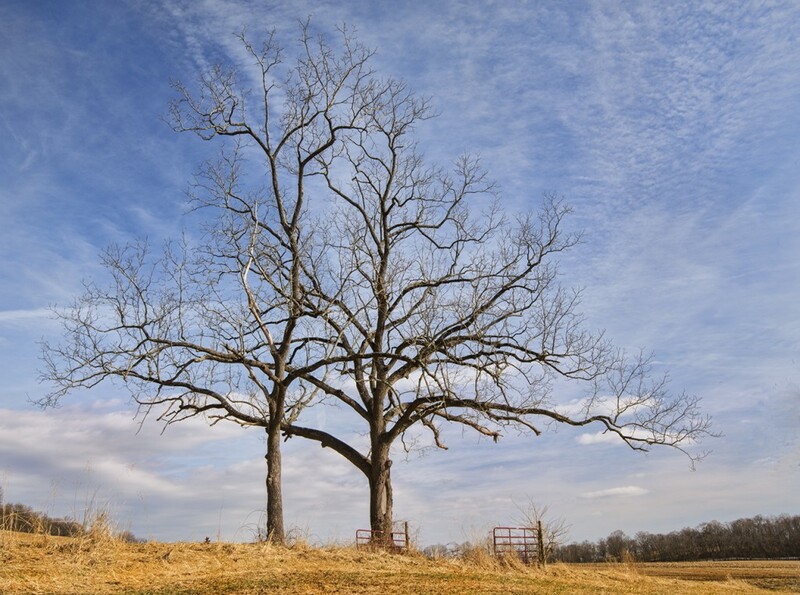 I went out twice over the holidays, once to Arlington National Cemetery; another time to the C&O Canal, near my home. On both occasions, I didn’t take a single photograph. At Arlington, I felt overwhelmed by the presence of death all around. How is one to supposed to be creative when hemmed in on all sides by death? Death is the enemy of life and life is essential for creativity. I couldn’t function. And it simply felt disrespectful to all those dead warriors to use their final resting place to pursue my hobby. So, despite spending three hours at the cemetery, I never opened my camera bag. 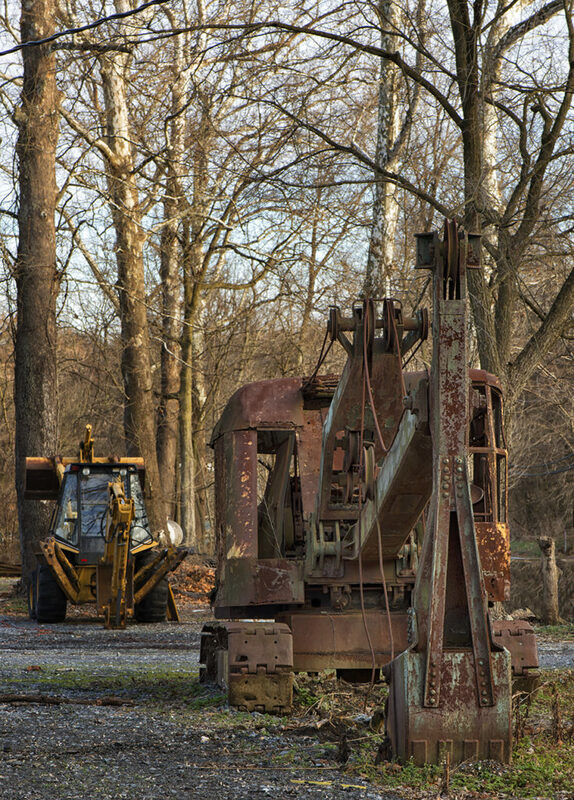 At the C&O Canal, it was a different kind of block that inhibited me. I was starting to see compositions but knew, without even raising the camera to my eye, that none of them was good enough to make an image that I would actually keep. So, again, I chose not to shoot anything. Everywhere I’ve turned recently, I’ve been hitting roadblocks. This morning, I joined Reb Orrell’s meetup group at the Baltimore & Ohio Railroad Museum. There, I bumped into old friends Karen Messick, Donnie Fulks and Izzy Kapetanovic. Just hanging out with such gifted photographers made me feel emboldened to be creative. 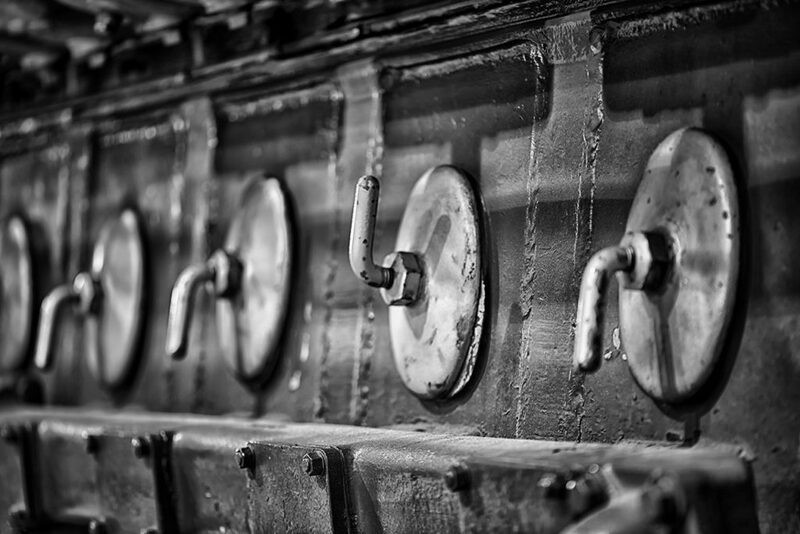 I took my time, walking around, looking at all the old engines and carriages, envisaging and rejecting many images. 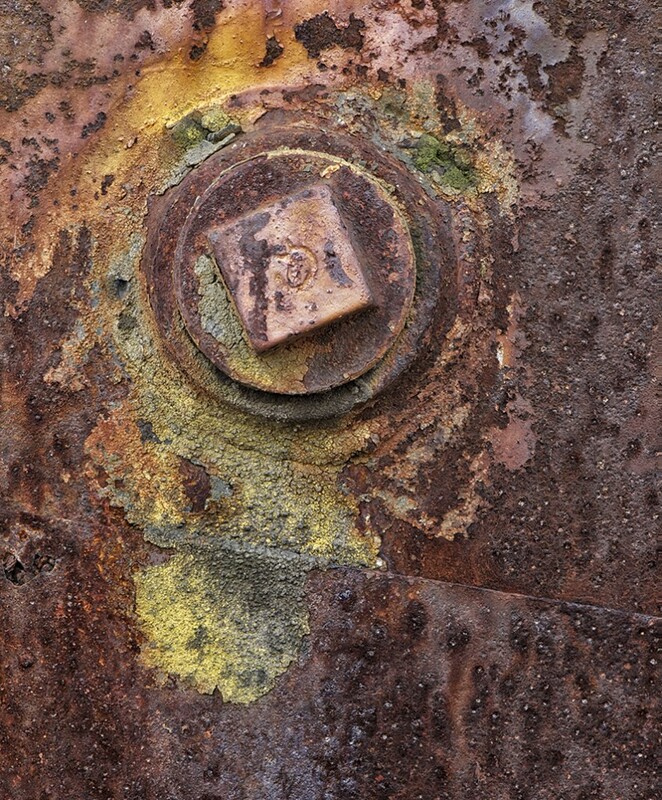 Finally, while standing in an old mail car, I saw the lead image of this blog post. 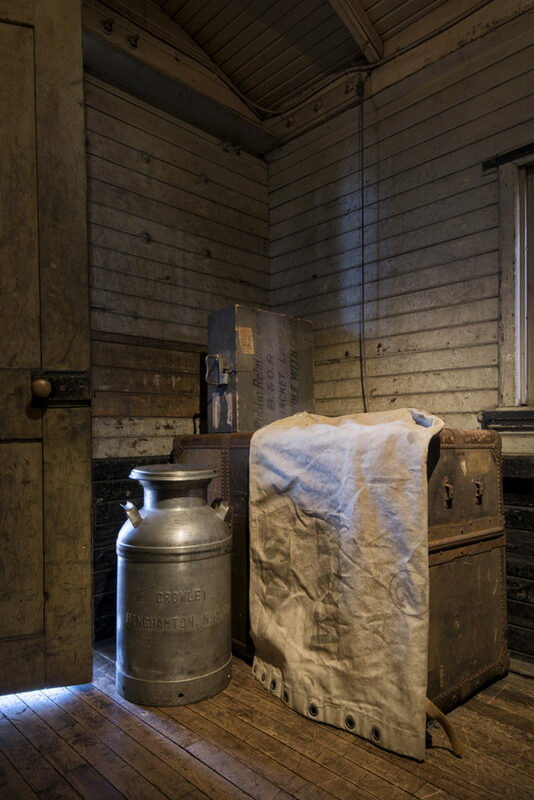 An old, wooden door standing ajar, light streaming through and beneath it, picking out the texture in the weathered wooden floor, a rough-hewn mail sack draped over a wooden packing case, a milk churn and mailman’s carry case. 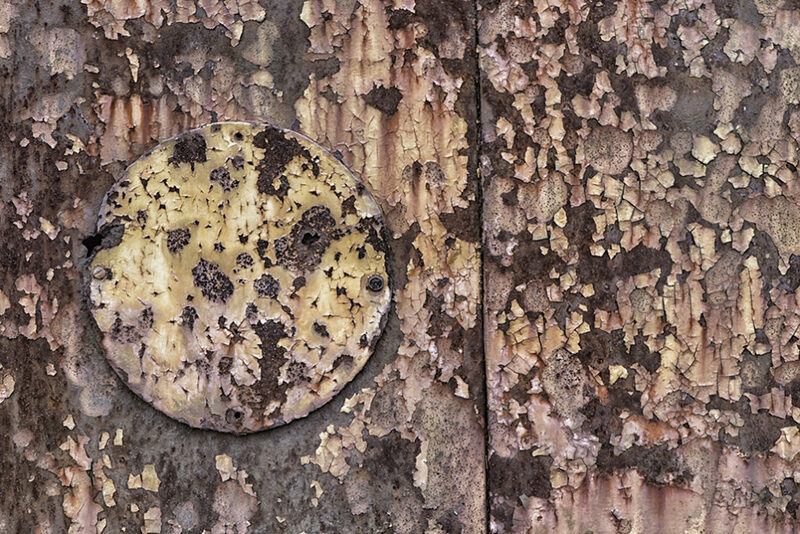 Light, texture, the varied forms of aged objects. Finally, something to photograph that I knew I would keep. The second image, of a retired railway engine, employs a tried and trusted compositional trick: a line of repeating shapes and one that upends the sequence. Starting to feel some momentum, for the third image, I turned to my LensBaby Composer Pro with the Sweet 35 Optic, which I have often found kickstarts my creative vision when I’m struggling to see. 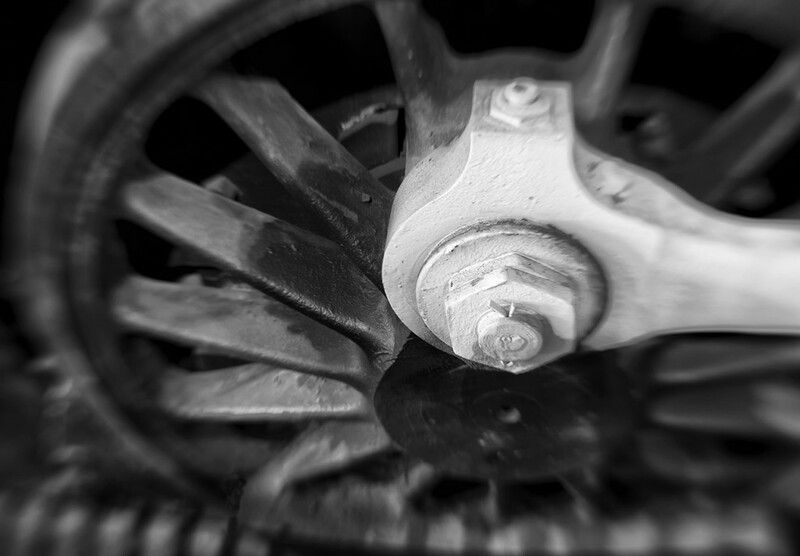 Shifting the point of focus around on the white spoke of a dark wheel and varying the degree of blur on the outer edges of the frame suggested the once hurtling movement of this long-stilled wheel. 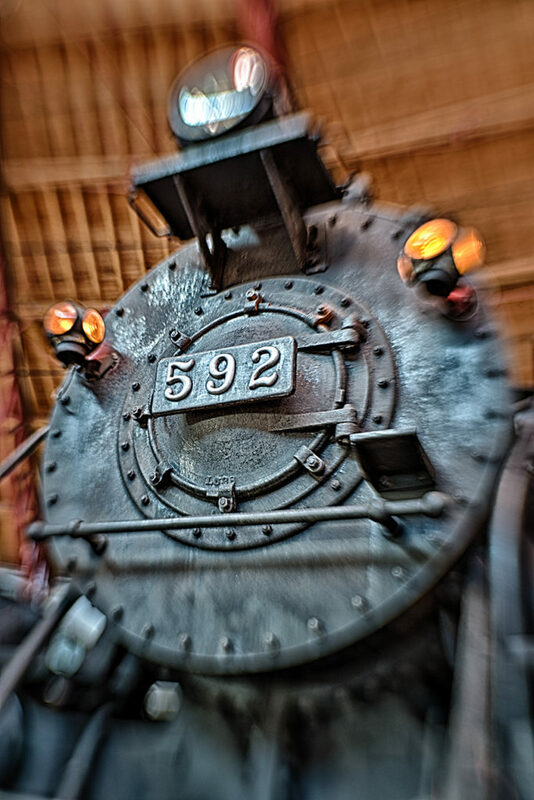 In the final image, the blurring effect of the LensBaby again lends a sense of motion to a stationary train. 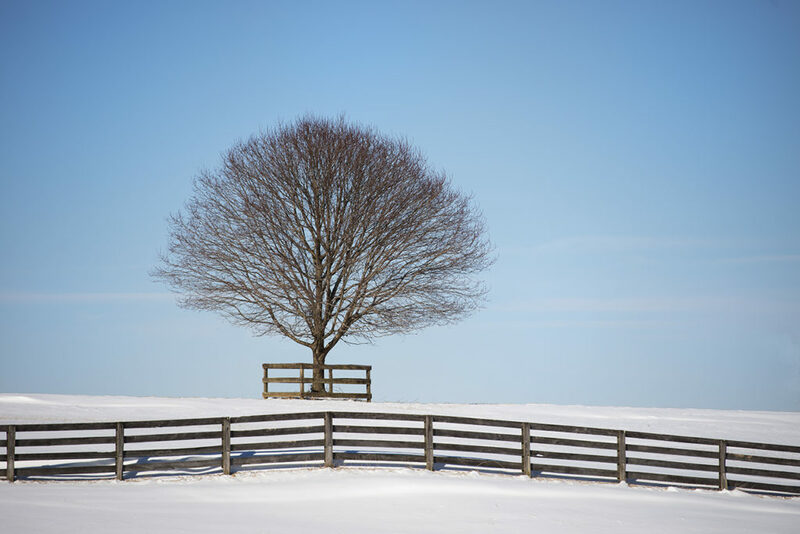 I suppose I am not alone among photographers in struggling for inspiration and creativity in the dead of winter. Right now, I’d cheerfully sell my granny for a Spring tulip. 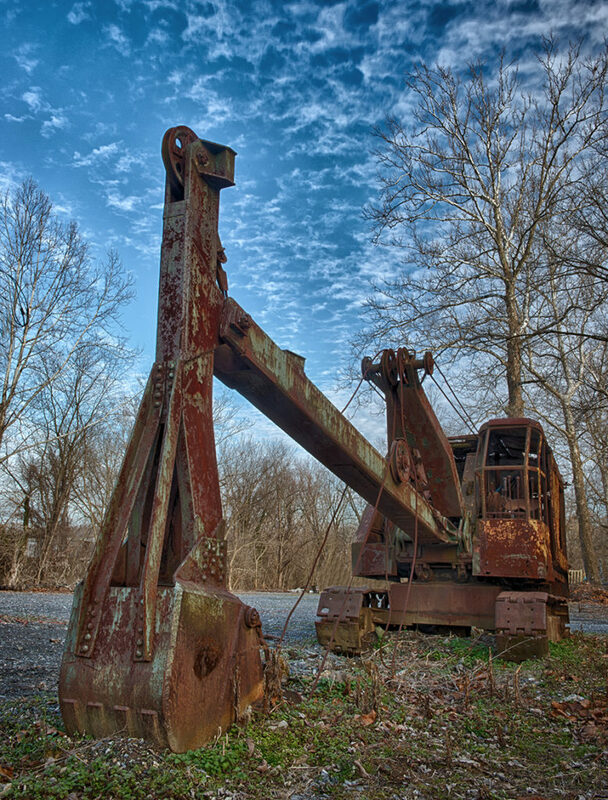 A friend of mine mentioned to me that he knew of an old steam shovel that had been standing by the side of the road for more than a decade, that might make a worthwhile photographic subject. The next day, I jumped in my car and drove the thirty miles or so to the location he had described and found it with little difficulty. It would have been impossible to miss this beauty: she was standing less than thirty feet from the roadside on what looked like a construction company site. Heavily rusted, with substantial areas of her metal superstructure completely eaten away by rust, she looked nonetheless statuesque and undiminished. Not only did her spacious cab, extended arm and large grab bucket provide striking forms for image-making but the decades of rust that had built up on her metalwork formed intriguing patterns, textures and colours for detail images. As my friend had warned me, she was standing on a site which was posted as “Private Property”. Having lived most of my life in the UK and Ireland, I have a fairly cavalier attitude to such signs and invariably venture on to the site, anyway: I know I am not intending to do any harm and believe I could persuade the landowner of my innocent intentions, should I subsequently be challenged. In the British Isles, there is a robust culture of “Right To Roam”, whereby private landowners have been forced, by the weight of public opinion, spearheaded by ramblers’ groups and lately translated into legislation, to afford access to their land to the general public, so that everyone can enjoy the beauty of the countryside. The greatest danger one might face, in venturing on to private land in the UK, might be falling down a disused mine shaft or being chased by a bull. In the US, by contrast, privately property rights, especially in respect of land, seem to me to be much more staunchly defended. And the big difference between the UK and the USA, of course, is the omnipresence of guns here. My friend had forewarned me that I might get a volley of “buckshot in your backside” for my efforts to photograph this old shovel. Indeed, I have noticed that several of my American photographer friends are extremely cautious about entering on to private property to take photographs. Some flatly refuse to, preferring to forego the opportunity to fill the frame with their subject, rather than risk the potential consequences of trespassing. Perhaps they simply understand better than I do what those consequences might be. As things turned out, I photographed on the site for more than an hour and no-one bothered me, though several pedestrians and motorists passed by during that time. So, I intend to continue with my venturesome approach to “Private Property” sign – at least, until someone gives me cause to re-visit it.